Fast Fords have become something of a motoring institution in the UK, with the specification usually reading like a Jamie Oliver cookbook. Indeed, simply take one popular hatchback, stuff it with a painfully large petrol engine and decorate, with bright colours and oversized bits of bodywork. Ping! You've got yourself a fast Ford. 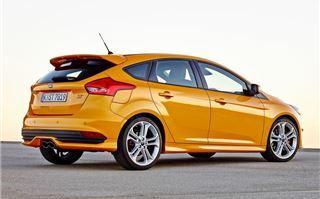 However, keen to expand the Focus ST's appeal, Ford has changed its full fat recipe and introduced a lean 2.0-litre diesel to the hot hatch mix. Why? Ford wants to attract company car drivers and families away from Volkswagen and in particular the Golf GTD. 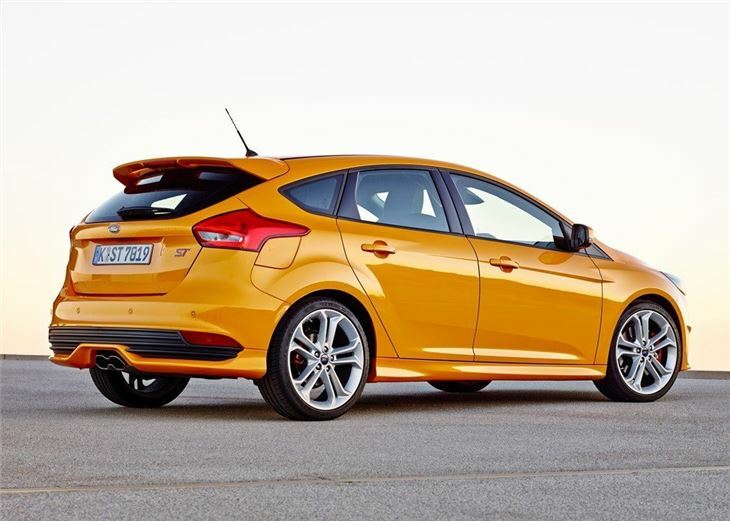 The diesel ST is the same price as the petrol version, but replaces the four-cylinder EcoBoost with a 2.0-litre TDCi. 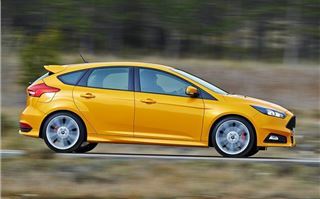 As a result, the diesel Focus ST has some pocket friendly economy figures, with both the hatch and estate returning a claimed 67.3mpg, compared to the petrol's 39.2mpg. 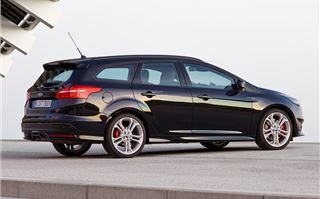 This means - on paper at least - the diesel Focus ST hatchback and estate will match the Golf GTD for economy and emissions, which isn't bad when you consider that the Focus ST estate has up to 1516 litres of boot space. 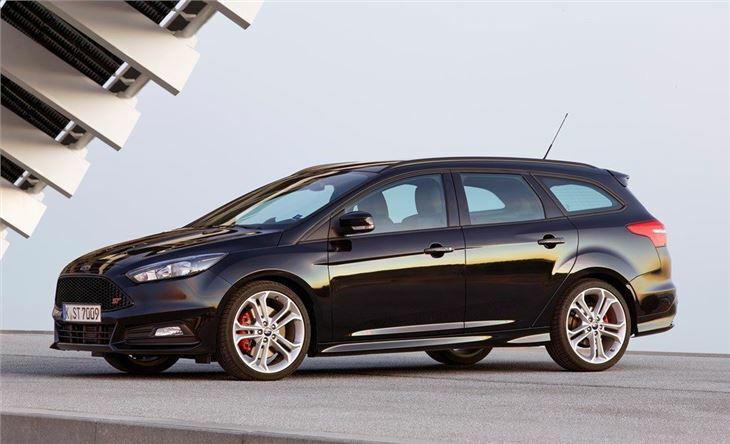 From the exterior, the Focus ST diesel is almost identical to its petrol counterpart, with a large front grille and slim headlights. However, being an ST, it also gets a sprinkling of spices, with a sporty bodykit, rear spoiler and 18-inch alloy wheels fitted as standard. 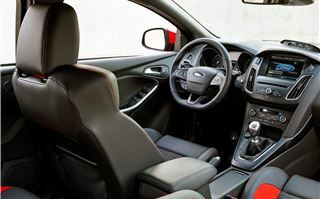 Ford has made significant improvements to the interior compared to the old ST, replacing the button heavy dashboard with a cleaner, clutter free design that’s easier use and more pleasant to the eye. Equipment is also good, with entry level models getting Recaro sports seats, keyless start and 4.2-inch TFT display. Cloth seats are standard (ST1 trim) while ST2 and ST3 add partial leather or full leather, with coloured side bolsters. 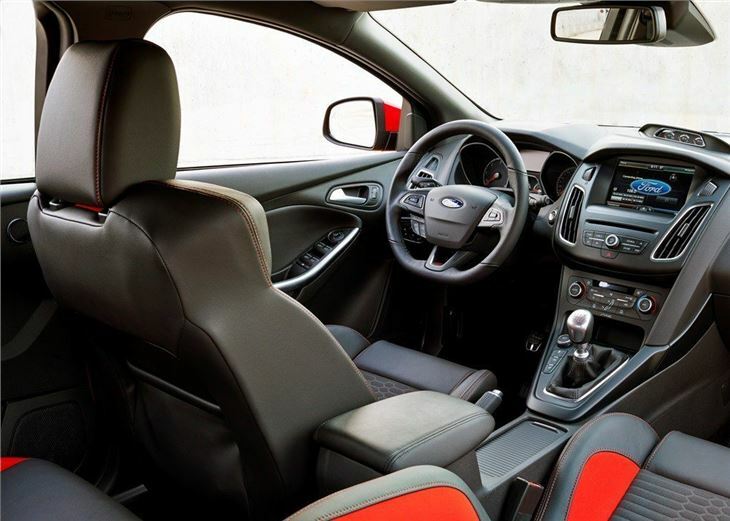 The cabin of the Focus ST is extremely comfortable, with large supportive seats and plenty of head and leg room for those in the front and back. However, Ford's niggling build quality issues still remain. For example, we found the leather Recaro seats in the ST3 to rub against the centre armrest, which made them squeak. We also found some of the interior fittings to be rather flimsy. Admittedly, our test car was a pre-production model, but we were more than a little disappointed with some of the build quality. The 185PS diesel is also considerably slower than the 250PS EcoBoost, which means the 0-62mph sprint takes 8.1 seconds. 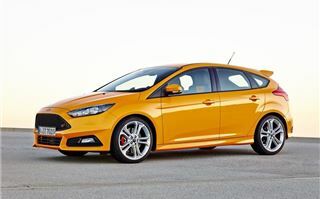 Thankfully, the ST's nimble handling remains, which means the driver gets a meaningful connection with what's happening between the wheels and the road. Unfortunately, in wet or challenging conditions that connection is mostly wheel spin and frustration. The 2.0-litre diesel engine has a whopping 400Nm of torque - 40Nm more than the petrol - but the torque vectoring system struggles when conditions are less than favourable. Thankfully, in the dry, things are much better. Indeed, head onto a twisty B road and the Focus will slingshot out of corners and push along with decent gusto. That said, you do get an occasional tug on the wheel when you hit a camber. We found the torque to run dry at 4000rpm, which means you have to work the gearbox rather hard to gain any sort of rewarding performance. However, things are fine on the motorway and the diesel engine is also rather quiet at 70mph, which makes it suited for long runs. 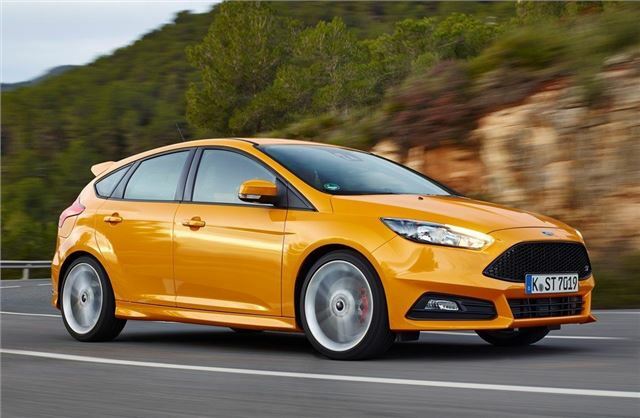 So, who's going to buy the diesel Focus ST? Well, with good economy, reasonable BiK tax and eye catching looks, we can see its appeals as a company car for those who want something a bit different. However, for families, we cannot find much to recommend. 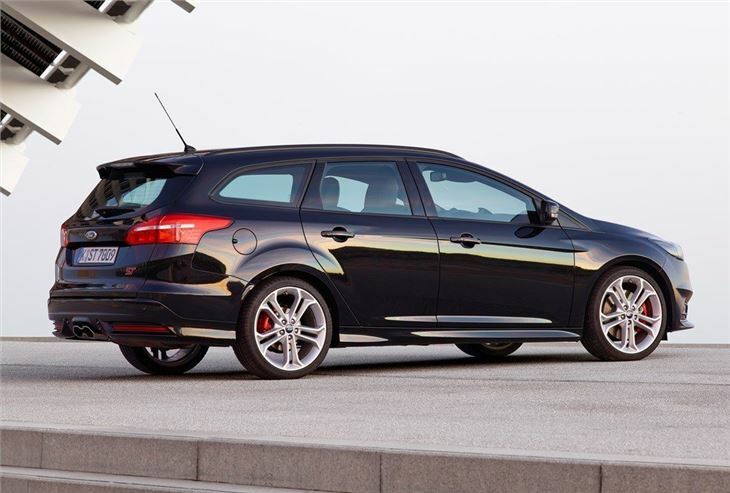 Compared to the Golf GTD, the Focus ST is too unrefined and too unpredictable in the winter to make it a car we could recommend to parents with two kids. 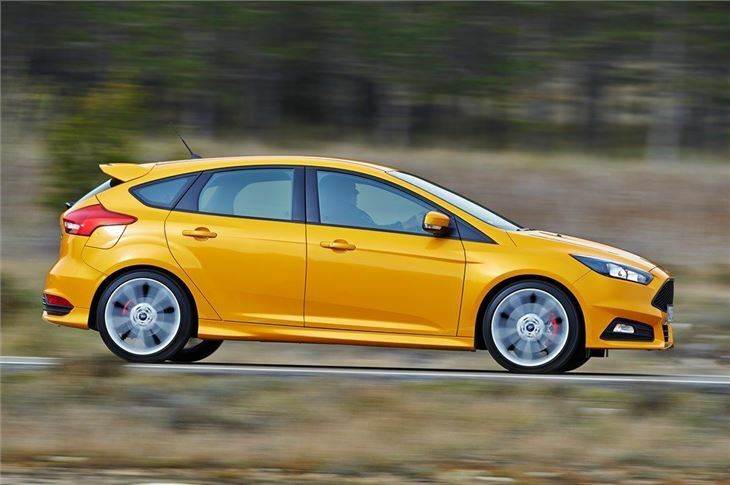 The hard ride is also unsuitable for younger passengers, leaving those in the back feeling rather green as the ST crashes and bounces over potholes and uneven surfaces. For sure, it's cheaper and better equipped than its rivals, but it falls short on almost every other level, compared to the refined Volkswagen. 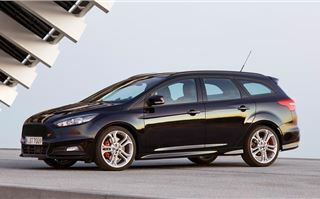 The Ford Focus ST is on sale now.